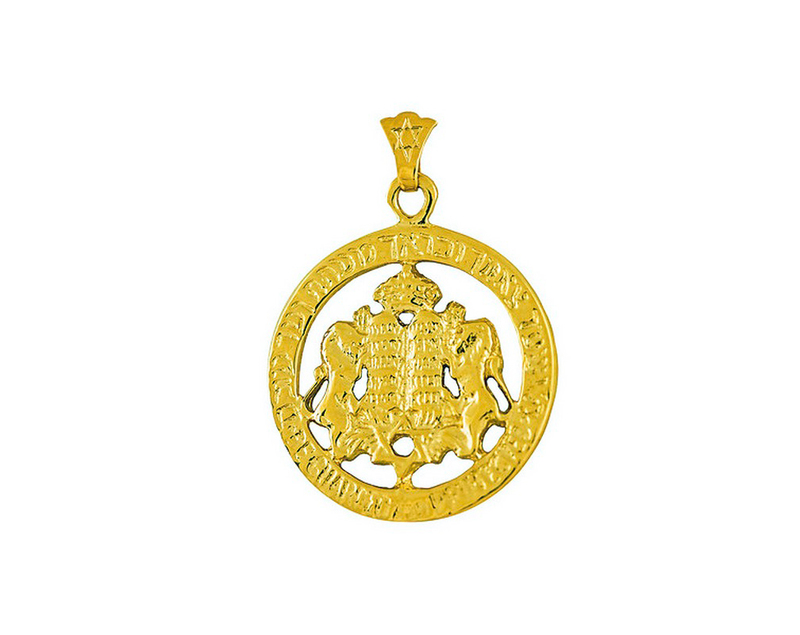 Made of 14k gold this pendant is beautiful and symbolic. The trademark Judaic symbol of two lions holding the ten commandments with a crown atop is encircled with a ring. The phrase engraved on it translates ‘May G-d protect you when come and go, now and forever’. Fashioned with great detail and symbolic for safety, this pendant will make a wonderful gift item for that someone special in your life. Pendant is available in both yellow and white gold. Necklace chains sold separately. To view our extensive collection of necklace chains, click here.